<> I am appreciative that again we have this time to spend a few minutes together to unite through this ezine and through the energy of the written words that form our connection of our united thoughts in consciousness in reminding ourselves of our infinite power. 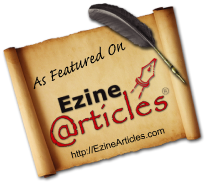 I also would like to thank you <> for subscribing to my ezine and through the months how it has allowed us to connect this way. And whatever you are doing and feeling right now as you are reading this my intention is to remind you that whatever you are going through whether it is something you do not want but is your experience you have the power within you to change it. You have the power within you to create any change you desire once you remind yourself enough so that it becomes a natural way of thinking. If you are already on your powerful aware journey and everything is in great flow then continue to celebrate your power. Which brings me to the topic of this months ezine with New Years celebrations upon us this is the greatest time to reminding ourselves that the New Year can be celebrated every day instead of being reserved once a year. For so many it seems that there is such a release now that Christmas is done and now it’s all about the celebration for the New Year. The tradition of the New Year can give us great empowering attitudes however for so many it seems to be a paradox tainted with big goals and if we don’t follow through on them it can be a big let down of disappointment. That disappointment can create our thoughts to be energized in low vibrations that will bring us back to feeling hopeless again. What I found to be empowering years ago was to take the most empowering attitudes of Christmas and the New Year or any traditional once a year celebration into an every day attitude to sustain the momentum of high vibration. Celebrating these celebrations of what they are really meant for us to do, to be empowered with joy, fun, laughter, bliss, uniting and the realization that we have the power within us to create it to be whatever way is most potential for us. So with the New Year we can celebrate it with that in mind, not for goals to be accomplished and then knock our self down for not following through with it. Instead just celebrate another powerful energy of personal present power that expands into the collective consciousness of our highest potentials. So instead of a New Year of reminders to create it as a daily celebrations to knowing how powerful we really are and that we have the free will to transform anything into our best potential benefits creating every day to be a new day with a new choices. A New Year so that every day we can let go of all the past we no longer want to serve with our thoughts, feelings and attitudes and focus instead on the New Ways that are of our most empowering for our own self and allow it to flow to everything we experience in our creations. To celebrate the New Year as if every day is another start of a new idea or a new desire to manifest into our experiences, and new vision, new passion or a passion to sustain into mastering. Knowing we have the powerful ability to transform any challenge into the greatest opportunity to come out ahead and empowered from any situation we are experiencing. So <> as you celebrate keep in mind that every day you are a powerful creator, every day you can change anything in your reality by being aware of what you are entertaining with your thoughts you are choosing. Every day you can feel and experience the reality you prefer so that everyday is a celebration because as I keep reminding you, YOU ARE WORTH IT! When you really know it you will see everything becoming the way you want it to be effortlessly and simply because <> are the power.